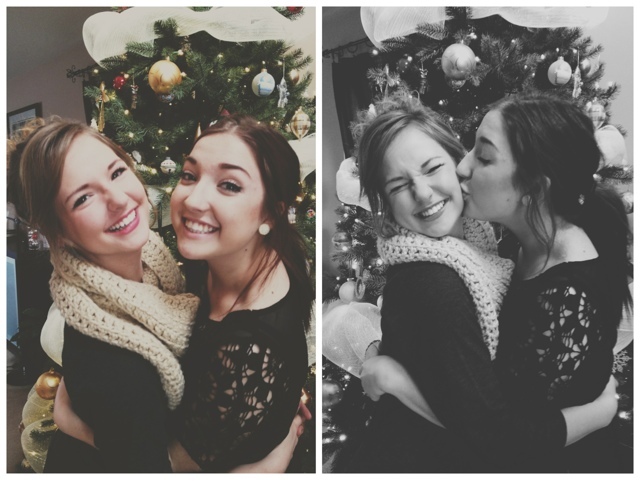 i feel so blessed to have been able to spend christmas with some of my favorite people! 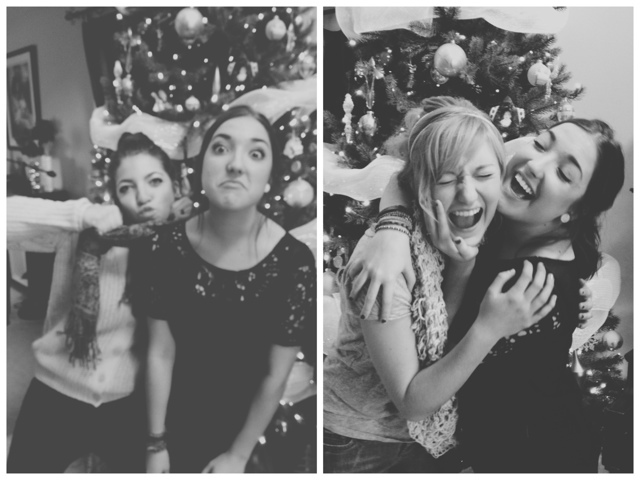 My cousins, Megan + Maddi [ along with my auntie, uncle + my other cousin, Josh ] came up to spend christmas day with us. it was such a delight! i love these girls to bits. since we were young, we have always been incredibly close to one another, being born so close together. me, megan, maddi + emily are inseparable - always together, always laughing at some dumb thing another is doing haha. there have been times when we roll around on the floor, laughing until our stomachs hurt. there have been times when tears have been shed + fits of rage have been exchanged. but through it all, i believe it has made us stronger. as each of us grows older, there is a bittersweet feeling in my heart. each of us are trying to find out who we really are, what we want to do in life + are chasing our ever changing dreams. there is a part of me that wants to time travel back to the days where we spent hours making plays for the parents. back to the days when we would spend an entire day roaming + getting lost on our grandparent's farm. back to the times when our curiousity + longing for adventure sometimes got us in trouble. back to the days when we would walk to the conveint store down the road + buy candy to gamble with. at times, it feels as though the hardest thing to do is accept the fact that we are changing + growing up. it is my hope that our unconditional love for eachother will keep us together and will keep us close for the rest of our lives. its so hard to find the words to express how much these girls mean to me. to sum it up, i love love love them.